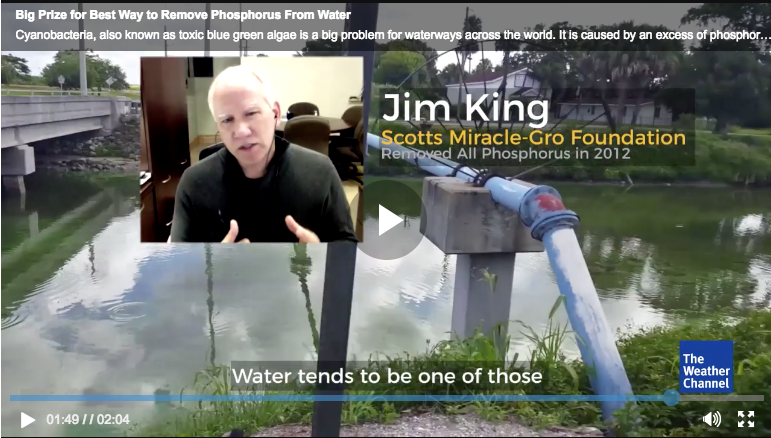 On World Water Day, The Weather Channel's Kait Parker chatted with Jim King, President of The Scotts Miracle-Gro Foundation about the issue of harmful algae blooms in waterways caused by an excess of phosphorus. Scotts Miracle-Gro is the presenting sponsor of The George Barley Water Prize, a four-stage global competition to find a solution to this global problem. Click here to watch the Weather Channel's online video. The Scotts Miracle-Gro Foundation is a 501(c)(3) non-profit organization with a mission to inspire, connect and cultivate communities of purpose in the areas of environmental improvement, youth empowerment, and community gardens and greenspaces. The Foundation carries out its mission by funding qualifying charitable entities that support its core initiatives in the form of grants, endowments, and multi-year capital gifts. The Foundation is deeply rooted in preserving our planet, empowering the next generation, and helping create healthier communities. For more information, visit www.scottsmiraclegrofoundation.org.